The Purbeck School Sixth Form is part of a rural comprehensive school of 1000 students situated in Dorset (and includes students from the towns of Wareham and Swanage). The Sixth Form currently has upwards of 160 students and we pride ourselves in knowing our students as individuals, both academically and pastorally. The school is in the top 20% of schools nationally at KS4 for Progress 8, with the school average GCSE point score below the national average; the school has achieved consistently strong KS5 results over the past few years with a grade 3 for our current 3-year T Score. Our focus over the last 3 years have been twofold – how to thrive within a financially restrictive climate, and how to continue to build progress at KS5 when progress at KS3 to KS4 is already high. It has been challenging to offer a wide-ranging personalised curriculum that meets the requirements of Russell Group universities and yet still maintain access routes to high level apprenticeships. Alps has been one of the key tools that has enabled us to plan strategically and effectively and meet the needs of our students. The subject level analysis provided by Alps, giving a four-year progress trend allowed us to lead an effective and data rich curriculum review. Subjects were identified that had consistently attracted small numbers and where the outcomes were variable. This was then matched against effective course combinations and historical destination data to enable us to re-design our curriculum offer. The new Sixth Form curriculum continues to offer breadth - with a focus on course combination, and success – as identified by the Alps ‘red’ teaching and learning, and value for money. 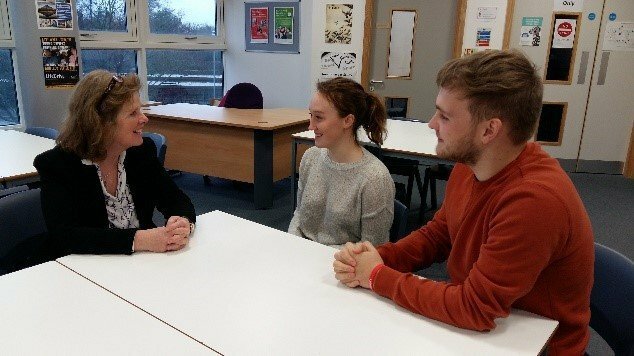 This tighter curriculum offer, with a real awareness of past success and improvement over time, has begun to attract students from across the region and outside of our traditional catchment area. One of the key areas that Alps has helped to support has been in the areas of subject and teacher development. informed our whole school development planning, alongside subject based initiatives, and more concentrated individual student support. Results and tracking of subject areas with larger numbers of students who were achieving ‘black/blue’ Alps have been targeted as part of the school improvement cycle and any sub groups of under-performing students identified have been offered personalised mentoring. This has involved comprehensive teaching and learning reviews to support identified subject areas and the dissemination of good practice of subject areas with ‘red’ teaching scores. Facilitating and supporting this professional dialogue between subject areas has allowed subject to subject improvement planning, with a focus on curriculum design, alongside teacher development through initiatives such as ‘trios’. This process has resulted in a significantly improved ‘red’ teaching score over the last 2 years. The introduction of Alps Connect Interactive has enabled much more detailed and tailored in-year data analysis. The ‘what if’ interactive section is used both by subject teachers and line managers together to see what marginal gains for particular students can make a difference to the overall value-added Alps score. These ‘what if’ discussions then enable the subject teacher to use their assessment data to target particular areas of subject weakness for certain students. have the capacity to improve even further in individual subjects. We can also easily identify those students hitting their minimum expected grades and praise them accordingly. The tracking that Alps allows has often highlighted the need for a specific intervention, whether that be subject specific, organisational, or a pastoral health issue. The level and depth of the tracking ,ensures that students can be treated and tracked as individuals and that interventions can be responsive and personalised. The marginal gains for particular students have resulted in a continued positive trend. continued success of the Sixth Form at The Purbeck School. "The speed of publication of the Alps report in August enables us to immediately identify areas of success or concern for both subject areas and student subgroups. The simplicity of the data presentation allows all stakeholders to participate in the quality assurance discussion"